Julia Krynke holds a Master’s Degree in Acting from the Ludwik Solski Academy for the Dramatic Arts in Wroclaw. Fluent in English and Polish, she is an advanced speaker of German and has strong Spanish and Russian. Having enjoyed six successful years as a full time theatre actress in Poland and having received acclaim for her film debut, Julia moved to the UK in 2008 to refocus her career into film and television. Lead roles in films include the Golden Bear nominated and FIPRESCI prize winning ‘Distant Lights’, directed by Hans-Christian Schmid (Germany, 2003); ‘Undocument’ (UK/Iran/Jordan, 2016), a four-part feature by Kyla Simone Bruce and Amin Bakshian; ‘Der Pfarrer und das Mädchen’ (ZDF Germany, 2015), directed by Maris Pfeiffer. Other film appearances include a supporting role in ‘Avengers: Age of Ultron’ (USA, 2015), a feature film directed by Joss Whedon and ‘Die of Love’ (Iran 2006), directed by Bijan Birang, a role for which she learnt to speak Persian. Television appearances include the role of Olenka in the BAFTA winning drama series ‘The Street’ (BBC, 2009), written by Jimmy McGovern and directed by David Blair; Bibi Saparova in ‘Spooks’ (BBC, 2009), directed by Alrick Riley; Mela in ‘The English Class’ (RTE, 2007); Danuta in ‘Trivia’ (RTE, 2011); Ania Green in ‘Holby City’ (BBC, 2010); Mira Ziemska in ‘Lekarze’ (TVN, 2013, Poland); Milena Kintrup in a German-Austrian-Swiss film series ‘Tatort: Das Wunder von Wolbeck’ (ZDF, 2012), directed by Matthias Tiefenbacher; Kasia in ‘Line of Duty’ (BBC, 2014), directed by Daniel Nettheim; Katrin in ‘DCI Banks’ (ITV, 2015), directed by David Richards; Natascha Karpenko in a German television movie ‘Ein Starkes Team: Tödliche Botschaft‘ (ZDF, 2016), directed by Maris Pfeiffer; Maya in a mini series ‘The A Word‘ (BBC, 2016), directed by Peter Cattaneo and Dominic Leclerc; Regina Meissner in ‘Die Kanzlei‘ (ARD, 2018), directed by Maris Pfeiffer and Dobroslawa in ‘Sick of It‘ (Sky 1, 2018), directed by Richard Yee. In 2019 she will appear on television as Cristina Hagi in ‘Notruf Hafenkante‘ (ZDF), directed by Lena Knauss, Tamara in ‘The Pleasure Principle‘ (Canal+), directed by Dariusz Jabloński and Krystyna Winnicka in ’Ślad’ (Polsat), directed by Jarosław Banaszek. Other roles of note include Monica in ‘The Townlands of Brazil’, a critically-acclaimed play written by Dermot Bolger, directed by Ray Yeates and performed at the Axis Theatre in Dublin (2006-2007) and playing leading roles in both Jessica Townsend’s comedy ‘Humane Resources’ (Best Short, London Film Festival, 2010) and Saschko Frey’s thriller ‘Echos’ (Friedrich-Wilhelm Murnau Prize, 2009). Julia has won several awards, including the Best Actor Award, Audience Award and Critics Award for the role of Gileta in the play ‘The Topsy-Turvy Princess’ by Calderon de la Barca, directed by Remigiusz Brzyk; and Second Prize in the Ogolnopolski Przeglad Piosenki Aktorskiej in Zamosc (a Polish singing contest for actors). 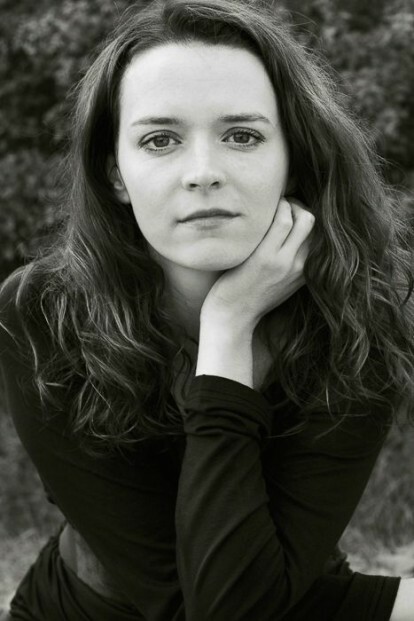 A keen student of the Arts, Julia has also studied acting at the Academy for Theatre Practices in Gardzienice. As a classically trained musician, she has also high levels of proficiency in both flute and piano, having studied at Opole Music School for 11 years. More recently, Julia has shown a special interest in improvisation methods and has undertaken multiple workshops at the Michael Chekhov Studio in London. Outside of acting, Julia’s interests include linguistics, meditation, music composition and environmental sustainability.